Hitler, Adolf, b 20 April 1889 in Braunau am Inn, Austria, d 30 April 1945 in Berlin. German dictator, founder and leader of National Socialism. In his youth Hitler absorbed the anti-Semitic and anti-Slavic prejudices of such Viennese political extremists as G. von Schönerer, leader of the Pan-German Nationalist party, and K. Lüger, leader of the Christian Socialist party. These views hardened into fanatical nationalism after Germany’s defeat in the First World War. 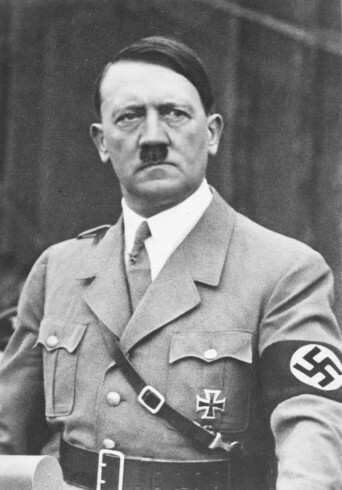 In 1921 Hitler became leader of the Nazi party. Imprisoned after an abortive putsch in 1923, he wrote the programmatic Mein Kampf (1925–6), in which he proclaimed his fundamental goals: to establish the dominance of the Aryan race by destroying the ‘Jewish enslavers’ and building a powerful German state, and to transform Russia and its dependencies into Lebensraum for German colonists. The Slavs, whom Hitler considered subhuman, would be enserfed or exterminated. The political crisis resulting from the depression brought Hitler to power as chancellor in 1933. He soon consolidated his dictatorship and began planning for war. In 1939 he secured Hungary’s support by allowing it to overrun Carpatho-Ukraine. After the German invasion of the USSR Hitler incorporated Galicia into the Generalgouvernement, allowed Romania to take over a large part of southwestern Ukraine (Transnistria), and called for the complete German colonization of Ukraine over a 20-year period. 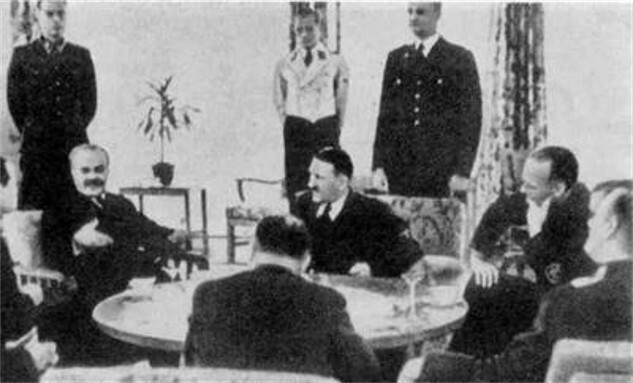 Rejecting Alfred Rosenberg’s concept of a Ukrainian puppet regime, Hitler appointed Erich Koch Reichskommissar of Ukraine and, at conferences held at Koch’s field headquarters near Vinnytsia on 22 July 1942 and 19 May 1943, gave his full support to Koch’s ruthless policies. Hitler insisted that the Ukrainian population be reduced by official encouragement of abortion and contraception, as well as by the denial of health care. Ukrainians were to be given only rudimentary education in order to make them obedient slaves. The prospect of defeat did not change Hitler’s views: convinced that Ukrainians were unreliable, in late March 1945 he ordered the Division Galizien to be disarmed. As the Soviet Army entered Berlin, he committed suicide.